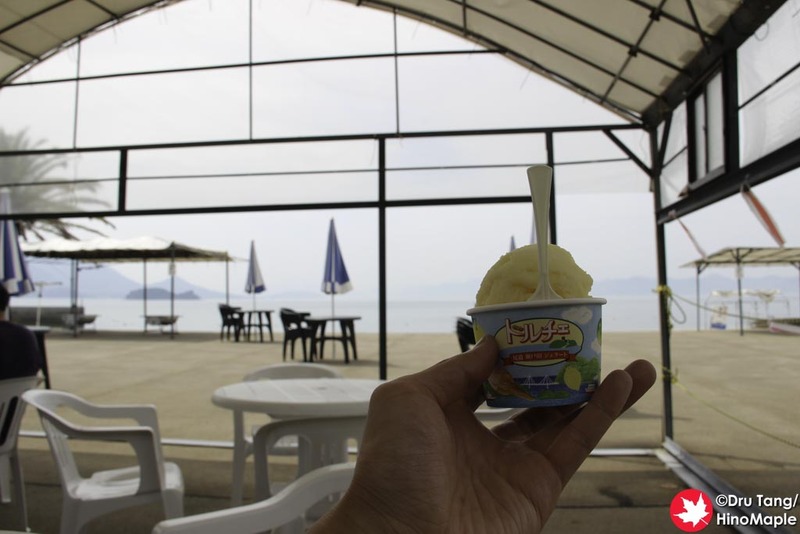 I never had a chance to eat Dolce’s gelato when I was in front of their main shop, but I did eat it when I went to Sunset Beach on Ikuchijima. 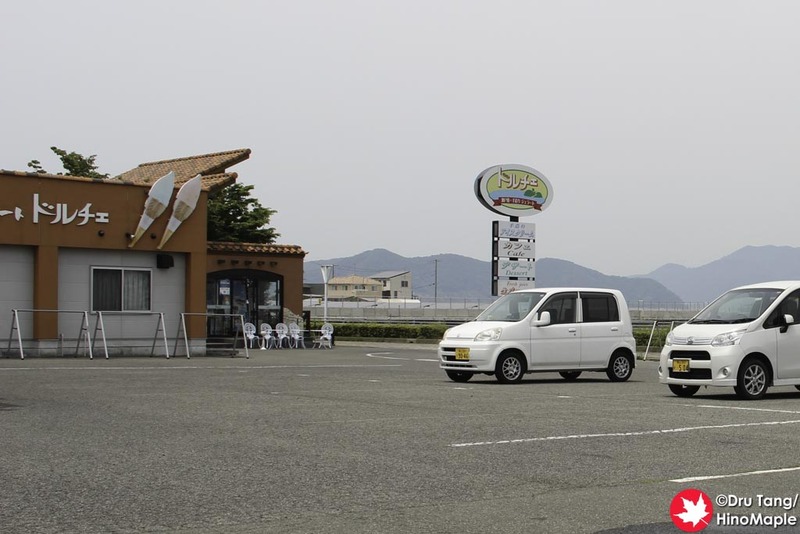 Dolce is pretty big in Ehime, as I found out when I made it to Matsuyama. They have a shop in front of Dogo Onsen and I’m sure you can find their gelato at various tourist shops that don’t specialize in their own ice creams. When I was at Sunset Beach, I noticed they had Dolce’s ice cream. They actually have 2 varieties of the ice cream. They have the pre-packaged ones, which is the typical harder type of ice cream, and they also have gelato. I paid the extra 100 yen for the gelato and I wasn’t let down. I do wonder what the regular ice cream is like, but I was still very happy with the gelato. For the gelato, I ordered the “Natsu Mikan”. It is basically a summer mikan, but they thankfully wrote the name in English as something completely different. I ordered it as “Nasu” something but once I read the hiragana, I realized the name was not translated correctly. If you have limited Japanese, this may be difficult for you to order, but it shouldn’t be too hard. The Natsu Mikan was very refreshing. The ice cream was a perfect way to finish my late lunch and I couldn’t have been happier. Nothing is better than just relaxing in the sun at the beach with some delicious gelato. Well, having a friend to enjoy it with you is also great. 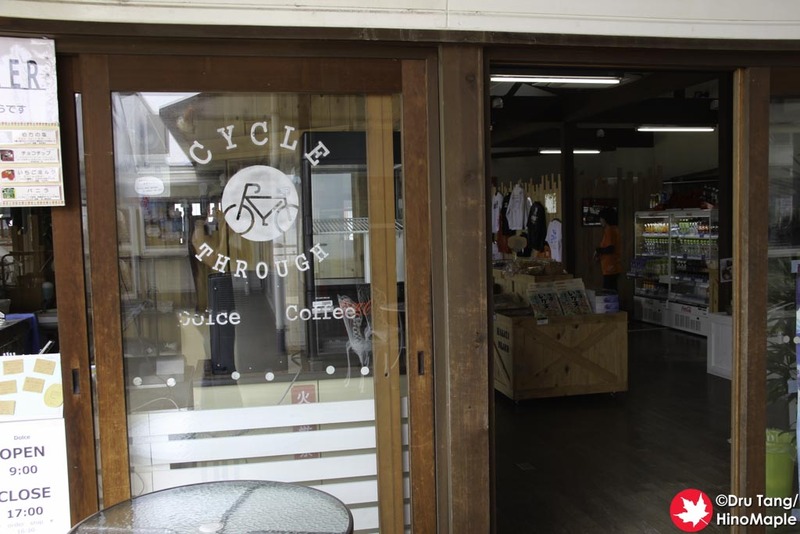 This entry was posted in Chugoku Food and tagged Dolce, gelato, ice cream, Ikuchijima, japan, Mikan, Natsu Mikan by Dru. Bookmark the permalink.